It was once said that stress is the only disease. Stress is normal. It may be mild, continuous, or as dramatic as a complete life-changing event. Whatever the case humans have an amazing ability to adapt. Fortunately, when the stress accelerates there are herbs that offer support. In 1964, Soviet scientists first used the term ADAPTOGEN to describe a group of herbs that increase the body’s resilience to stress. They also increase vitality and the body’s ability to withstand stressful situations. 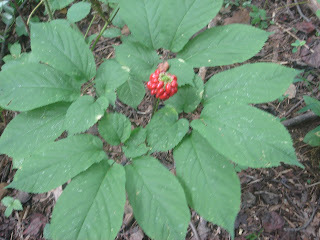 Ginseng is perhaps the most well known adaptagens and was once a cash cow for many in the North Carolina Appalachians. Mountaineers would go “senging” for the valuable root that would be shipped to China. 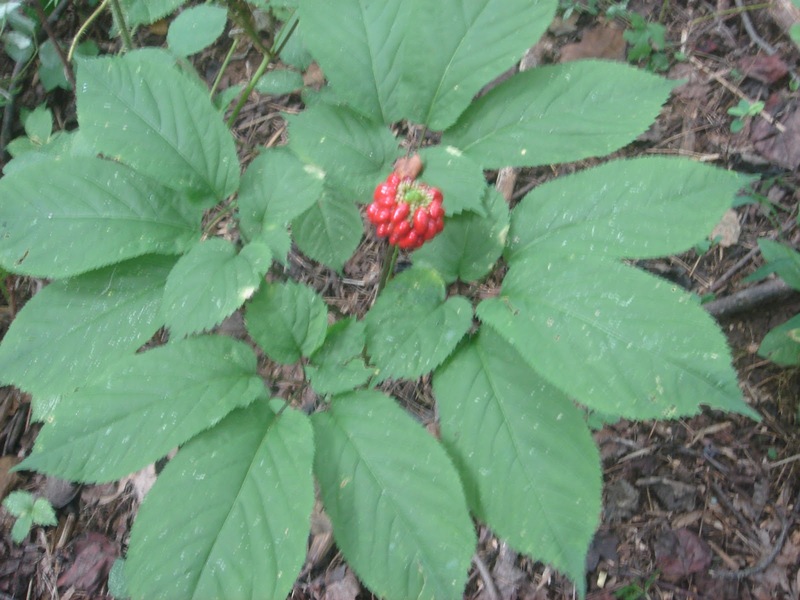 American ginseng (Panax quinquefolius) is useful in Type II diabetes, increasing endurance, and improving mood-fatigue. Asian Ginseng (Panax ginseng) is useful to improve immune function, fatigue, physical performance, Type II diabetes, sexual function, mental function, and respiratory function. The word panax means “heal all” as from the word panacea. They have generally been used as a stimulant, aphrodisiac, and for sexual dysfunction in men. You may also find it in “energy drinks”. Siberian ginseng (Eleutherococcus senticosus), known as Eleuthero, is in the same family as an adaptogenic herb but not a true ginseng. It is documented in the treatment of fatigue, concentration, chronic fatigue, improvement in selective memory, and it also increases color perception. Other adaptogenic herbs include Schisandra, Ashwagandha, Rhodiola rosea, Holy basil, and Reishi mushroom. Ginseng roots are harvested and dried. The wild herb is considered vastly more valuable than farm grown. The wild root is usually more wrinkled and the farm grown is smooth. The roots are often grated and soaked in a water/alcohol solution to make a tincture. The solution is then pressed and the leftover fibrous material is removed. Another vital step in the process is to incinerate the “waste” which is then incorporated back into the tincture to include the mineral portion of the plant. This is known as spagyric or bioplenus.